When I lived in Bangkok, I lived on Sukhumvit Soi 16. I moved into a new construction apartment building and so had to wait for the finishing touches to be completed. 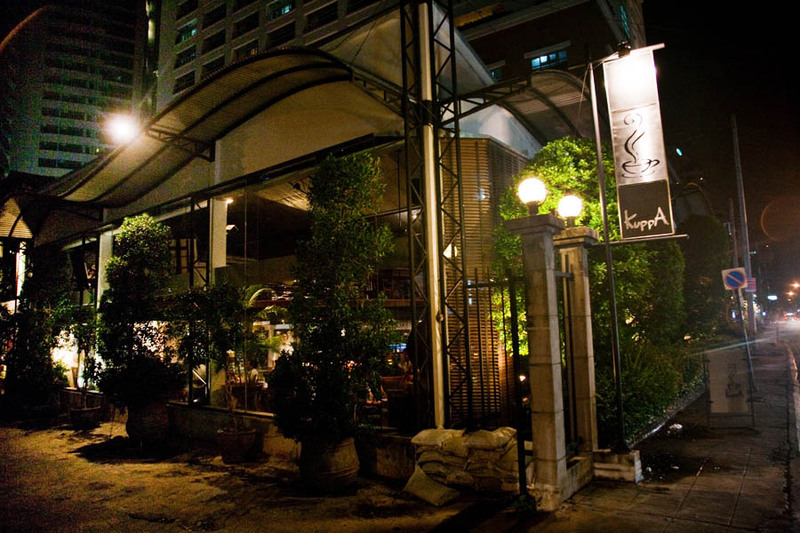 During my time in temporary housing, when I would tell people that I was moving to soi 16, unanimously the response was….”oh, you are so lucky to be living near Kuppa!” When I asked them why?…there was a mish mash of accolades like “the best brunch,” “they roast their own coffee you know,” “it’s great for a lazy lunch,” “oh my god, you have to try the desserts!,” “the Thai food is really good,” “it’s among the best Western food in Bangkok,” “we really enjoy dinner there” and so on and so on. I mean what does this place not do and serve perfectly? Could this be true? Well, in a word…yes. 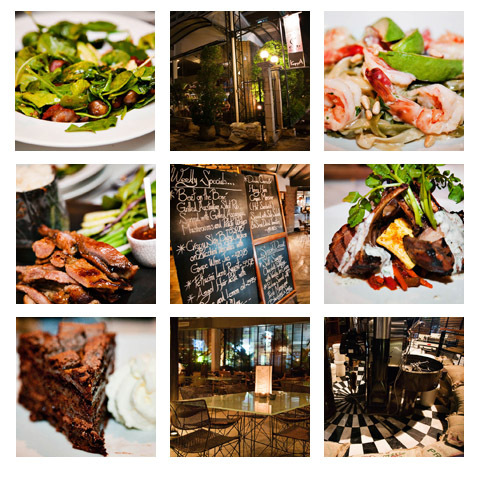 In my time in Bangkok, Kuppa became my go to place for just about everything. Meeting a friend for coffee, Kuppa. Family in town, Kuppa for dinner. Lazy Saturday, Kuppa for brunch with a newspaper. Meeting the girls for lunch, Kuppa. Stop by and pick up dessert to take home, Kuppa. 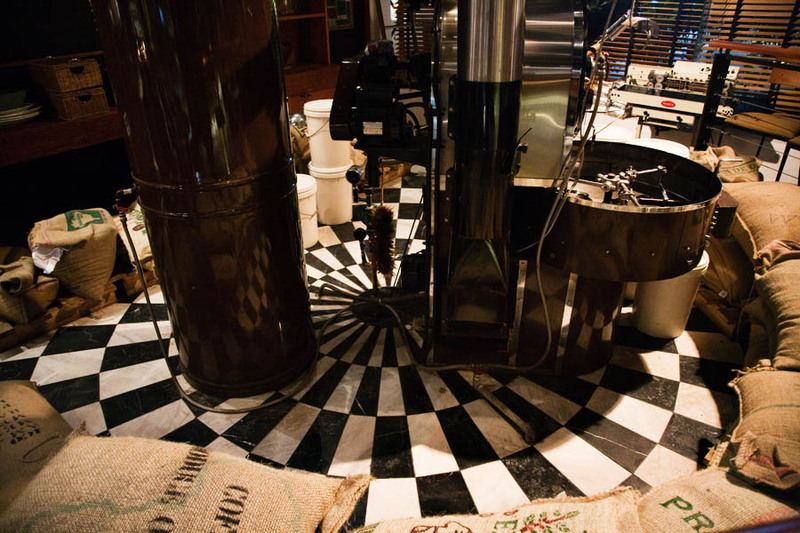 Buying coffee beans, Kuppa. In my time there, I think I have eaten nearly everything on the menu multiple times. 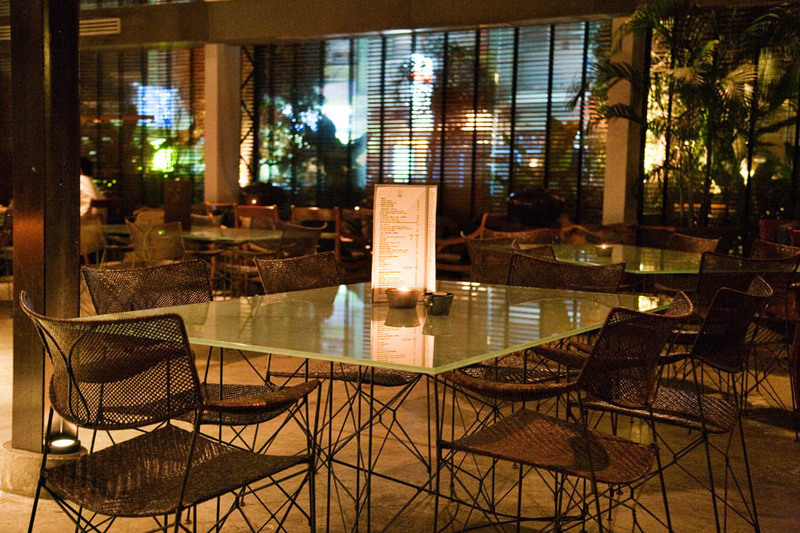 On a recent visit to Bangkok, Paul, Richy and I made our way to Kuppa for a chill meal to catch up and relax. We ordered a lot of our favourites and some new things. As usual, nothing disappointed. We like to start with Som Tum Thai, Thai green papaya salad (115THB / $3.45 USD / S$4.80). 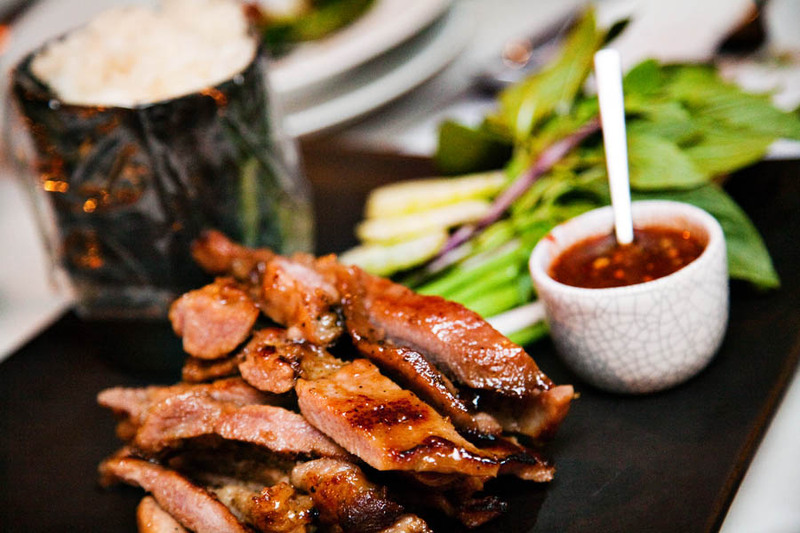 Sure you can get it for less on the street, but it is excellent here and it is our favourite pairing to go with the Moo Yang, Thai grilled pork with sticky rice (215THB / $6.45 USD / S$9). 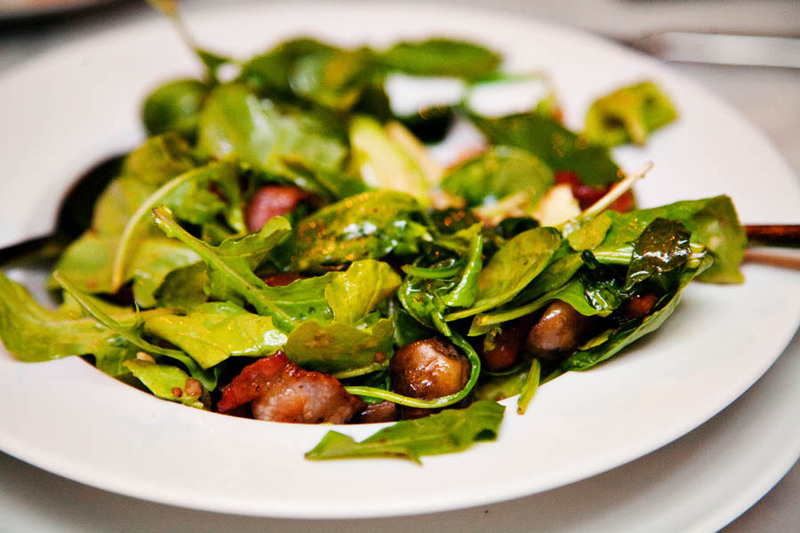 My favorite salad hands down…not just in Bangkok….but truly my all time favorite (my favorite so far is the butter lettuce salad at Craft in NYC – Paul) is Kuppa’s Baby Spinach, Avocado, Mushroom and Bacon Salad (295THB / $8.80 USD / S$12.30). It’s probably not the healthiest salad on the menu, but it’s perfectly fresh and absolutely flawless…ripe avocados, crispy bacon and sautéed mushrooms on a bed of spinach. The juices from the sautéed bacon and mushrooms permeate the spinach making every bite deeply satisfying. Sometimes, I like to order the grilled fish or the thin crust pizza as an entrée. But this time I chose the Grilled Australian Short Rib served with Grilled Asparagus, Mushrooms and Potato Wedges (850THB / $25.45 USD / S$35.46). I am a sucker for short ribs and these did not disappoint – fantastic tender yet firm texture and full of smoky, grilled goodness. 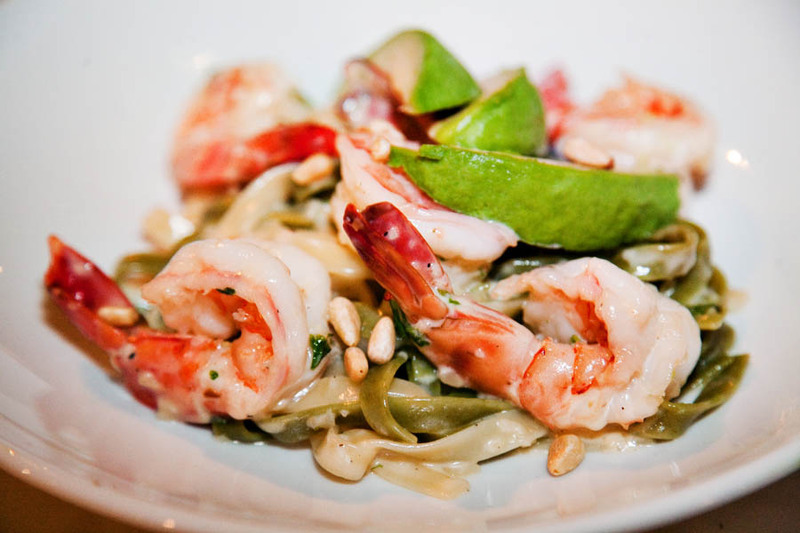 Paul ordered his usual, Fettucini with Avocado, Prawn, Pine Nuts and Cream Sauce (395THB / $11.84 USD / S$16.50). This used to be a special menu item, but it’s actually no longer on the menu… the folks here are so nice though that they make it for Paul, without hesitation, every time he requests it. 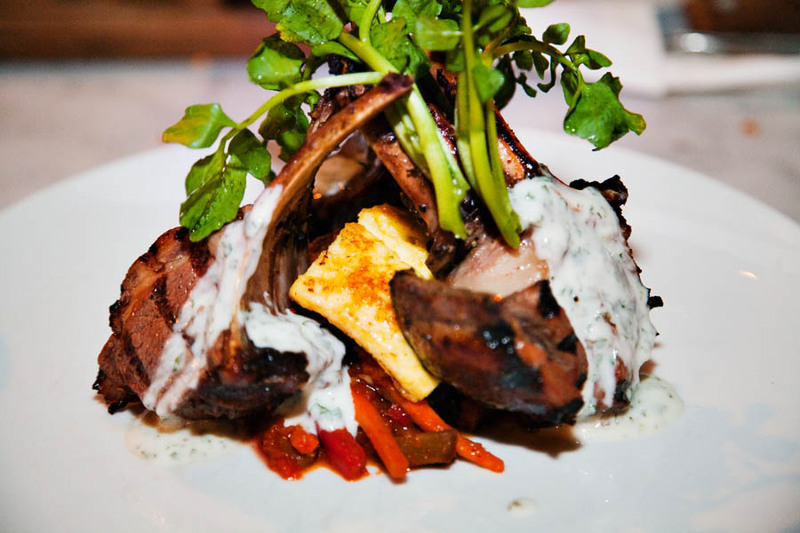 Richy went with the Lamb Cutlets on Basil Polenta with Ratatouille and Mint Yogurt (795THB / $23.83 USD / S$33.18). Richy said it was perfectly cooked and was impressed with the Basil Polenta and the interplay of herbs and creaminess throughout the dish… also represented in the Mint Yogurt. I love eating with Richy. This is a guy who absolutely savours his food like no other person I have EVER met. 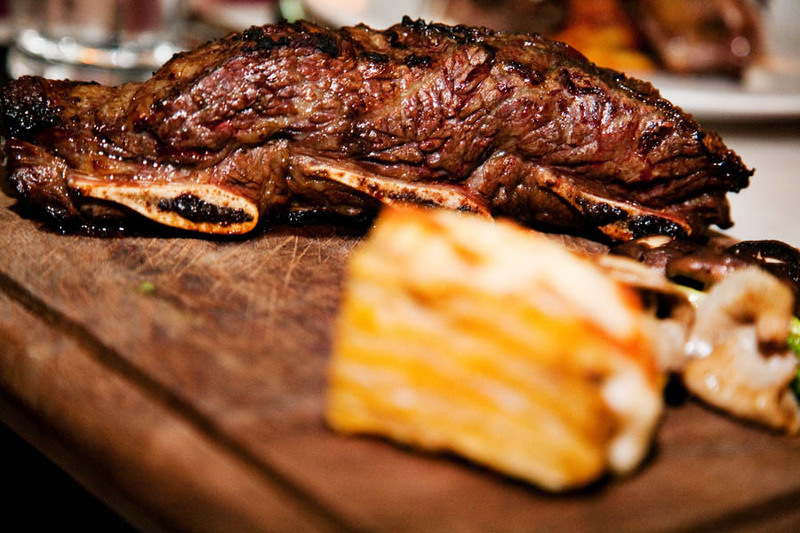 He is an incredible cook, meticulous and detailed in his preparations… and a fantastic eater. We often wonder where he puts it all since he manages to stay in such great shape in spite of an insatiable appetite. So when Richy is happy with a dish, we know it is good. Dinner at Kuppa would not be complete without dessert. One of the best desserts I have ever enjoyed is Kuppa’s Concord Cake (150THB / $4.50 USD / S$6.26). Paul and I actually used to crave this dessert and take a walk down to Kuppa to bring a piece home for a late night treat. This is a destination dessert folks. 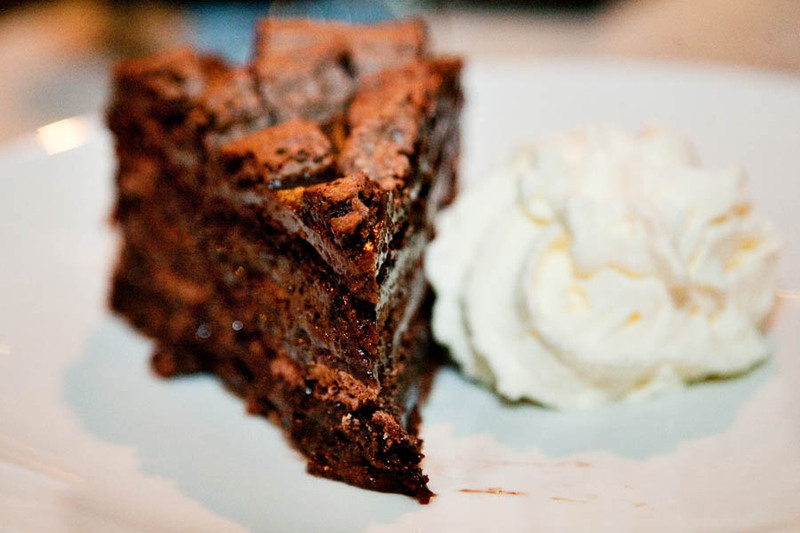 Don’t miss its rich chocolately, fudgy goodness. I don’t know what the crispy curls on top are, but they are a textural highlight that counterbalances the soft and chewy cake. We also like the Apple Pie and Crumbles here. Another regular thing we enjoyed was the Macadamia Nut Brownie. 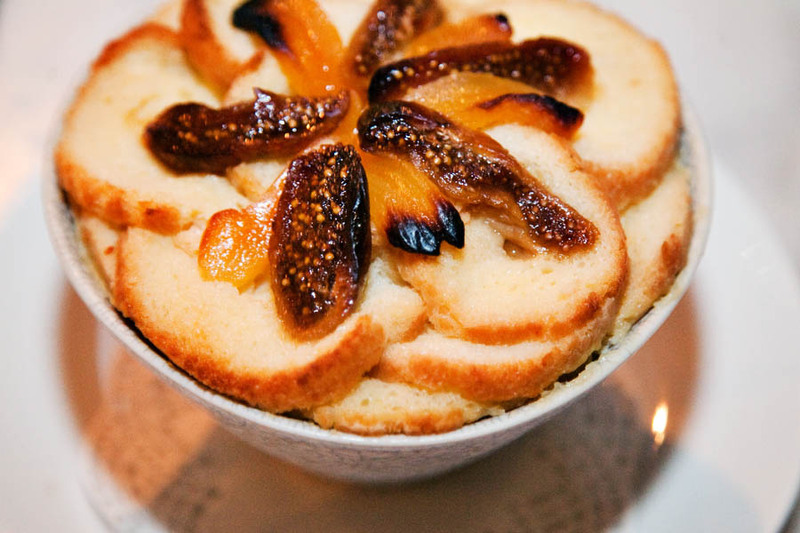 Also try the Bread Pudding….if you are going to share desserts this is an excellent partner with the Concord Cake as the bread pudding’s creaminess serves to offset the fudginess of the cake. In recalling all my lovely meals there, I realize just how much I miss having Kuppa as my neighbor. 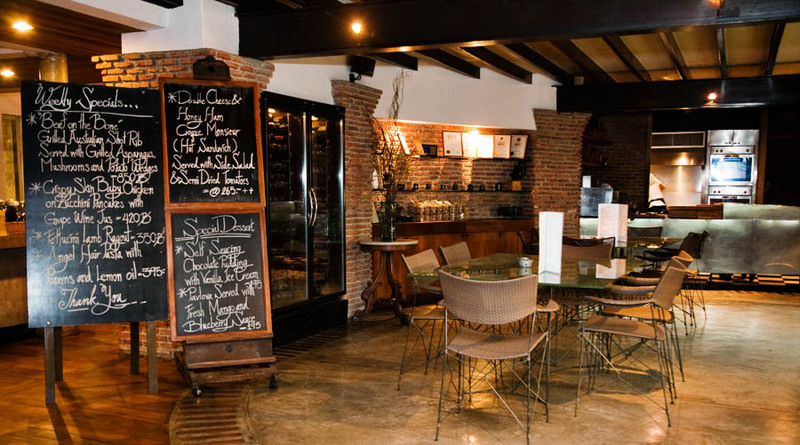 Familiar, friendly, comfortable and downright delicious. And this is why I make a point to return on every trip to Bangkok. I’ve only been to Kuppa once and had breakfast there, so I didn’t get to try out a whole lot of their menu. To me it was an ok breakfast (with bread coming first and not with the breakfast itself) which was a bit odd. I know everyone raves about the place, but to me it was fine, nothing special, and I thought it was slightly overrated. Maybe trying something else would change my mind. I would have liked to have loved it but it just didn’t happen with their breakfast. We had a great dinner there on our visit to Bangkok. It is a relaxing place.